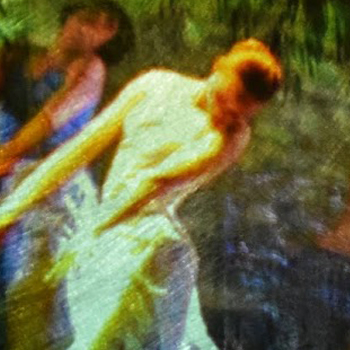 Salt Marsh Suite is a collaborative, inter-media art installation and contemporary dance performance that is based in fieldwork, data collection, and close observation in a North Carolina coastal estuary. The project combines art, science, and technology in an immersive environment, engaging the audience in the beautiful, almost magical qualities of the marsh and the life within it, while giving a sense of its vulnerability. 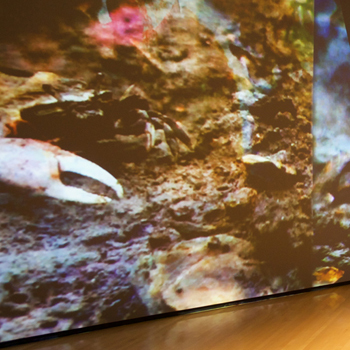 The suite includes five overlapping “movements”: water, mud, crabs, birds, and grass. Each movement weaves together light, imagery, data, and subdued, ambient sound, hinting at the way attentive observation and presence becomes its own, experiential reward. Salt Marsh Suite is deeply and inherently collaborative. It depends on the talents and knowledge of individual artists, researchers, technologists, and students and on their ability to work across disciplinary and artistic boundaries. The Salt Marsh ensemble incorporates elements made by approximately 15 different contributors to date, mostly from Virginia Tech, within an aesthetically unified whole. Salt Marsh Suite is directed by Carol Burch-Brown, Professor of Art in the School of Visual Arts and Ann Kilkelly, Professor of Theatre Arts and Women and Gender Studies at Virginia Tech. Both Burch-Brown and Kilkelly are Senior Fellows in the Institute for Creativity, Arts, and Technology. Weaving the lines between the lives of the marsh animals and plants with the strong environmental (and human) forces that shape their existence, Salt Marsh Suite connects the disciplines of art and science. It was first premiered at the Cube at the Moss Center for the Arts in 2014 with a multi channel video and sound installation with 5 dance performances. Salt Marsh Suite is organized by Virginia Tech’s Institute for Creativity, Arts and Technology in collaboration with the Taubman Museum of Art. Support is provided by the Moss Center for the Arts, the School of Visual Arts, the Institute for Creativity, Arts, and Technology, and the School of Performing Arts at Virginia Tech. Funding is provided in part by Arts@VirginiaTech through the Office of the Senior Vice President and Provost. This exhibition will be on display October 3, 2015 through January 10, 2016 in the Bank of America Foundation/ Dominion Resources Gallery.